Our prices below are ALL INCLUSIVE. Bedding, linen, towels, heating and electricity, kitchen stuff, FREE WiFi, welcome flowers, private parking, garden deck with amazing view of Ben Nevis, Hot Tub – ALL INCLUDED – there is nothing else to pay. Want to stay over Christmas or New Year at this superb property and location and enjoy our HotTub too ! We require a deposit of UKP £100.00 to secure accommodation. 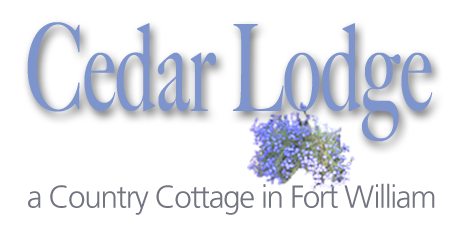 Your holiday accommodation for Cedar Lodge must be paid for in full 6 weeks prior to your arrival date.